Mother’s Day is this Sunday and what a better way to celebrate than with breakfast in bed? I’m not even a mom and I would be down with someone bringing me a delicious and satisfying breakfast that I didn’t have to cook myself. 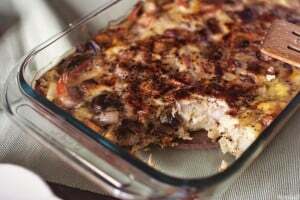 Sadly, I did cook this fritatta myself… but I was also the only one in my house eating it, and let me just tell you, with all these flavors packed in, it was amazing. 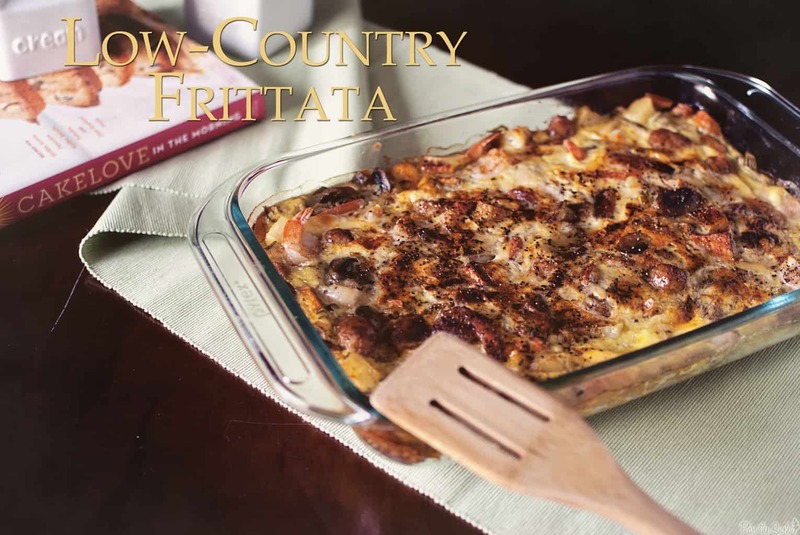 Just in case you are considering not enjoying this in bed, this frittata would make an amazing brunch recipe for a large group. The 9×13 pan is enough to feed an army. If you only have three or four people around the breakfast table, I suggest halving this recipe and everyone will still be satisfied. Peel and dice the potatoes and sweet potatoes into 1/4 inch cubes. Submerge in water for a few minutes to remove an excess starch and drain well. Toss the cubes with rosemary, sage and 3 tbs butter, oil and 1 teas of salt. Spread the mixture on a baking sheet lined with parchment paper and roast about 35 minutes, tossing halfway through. Meanwhile, in a separate dish, roast the sausage links for 20 minutes in the oven. Remove and slice into 1/2 pieces. In a large skillet, heat the remaining 2 tbs butter over low heat. Add the onions, and cook, covered, until softened, about 10 minutes. Stir in the celery and mushrooms, increase heat to medium, cover, and cook for another 10 minutes. Remove from heat and set aside. In a large bowl, whisk the eggs with water until lightly foamy. Fold the shrimp and cheese into the eggs. Grease a 9 x13 inch pan and sprinkle with salt. 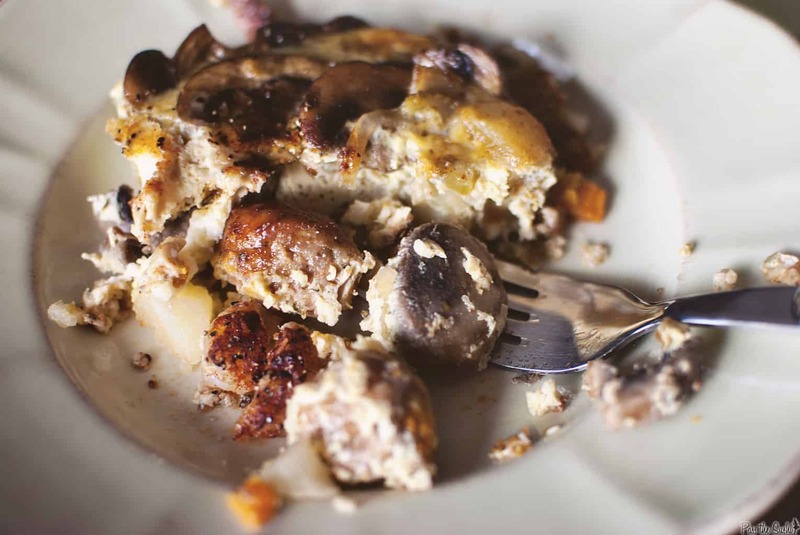 Arrange the potatoes and sausage in the pan and pour the egg mixture over top. Sprinkle with paprika, cumin, and pepper. Reduce the oven heat to 325 degrees F and bake for 50 minutes, until the edges are browned and the center doesn’t jiggle or appear wet. Let cool for 10 minutes before serving. Great feast! Though want to get a taste of this even when it’s not Mother’s Day, looks so good. 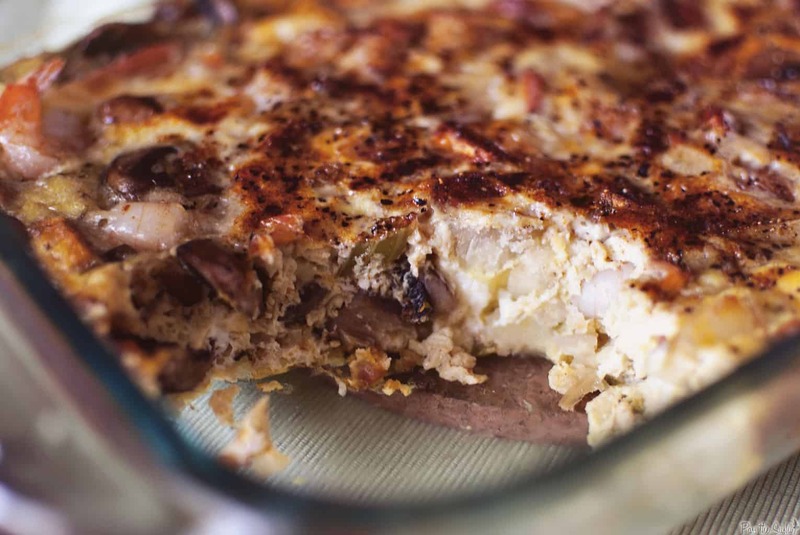 I am a mom and I can tell you that the only way I’ll get this amazing looking frittata in bed or otherwise is if I make it. It definitely has everything in it for someone to love though. Wow. Wow, I could eat that every morning! The addition of fresh herbs makes it extra special. Yup, I want someone to bring me a huge slice of that in bed too!! I love frittata. 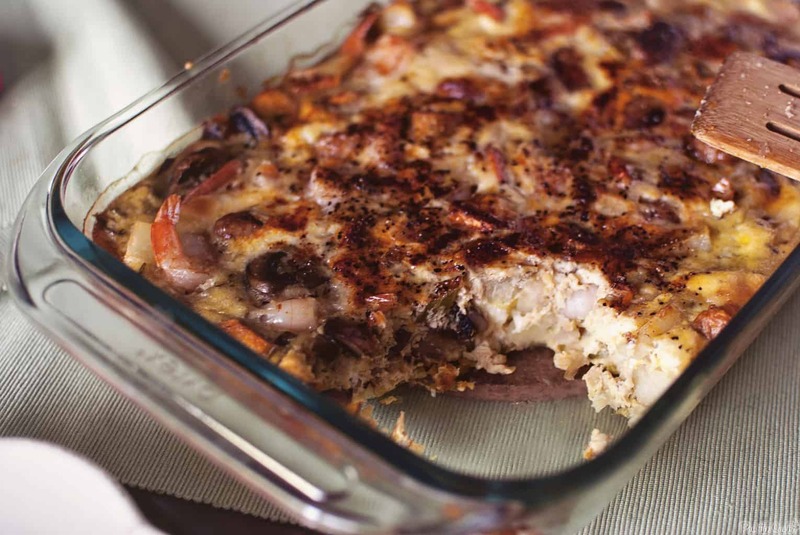 Such a great way to toss a lot of flavor into one big dish and cook. Your ingredients look delicious! This sounds so good! love the addition of sweet potato and andoille sausage, yum! This looks great! I would totally go with someone cooking this for me on Mother’s day…even though I’m not a mother haha. Who wouldn’t love to have this brought to them in bed? Shrimp and sausage for breakfast? I want!